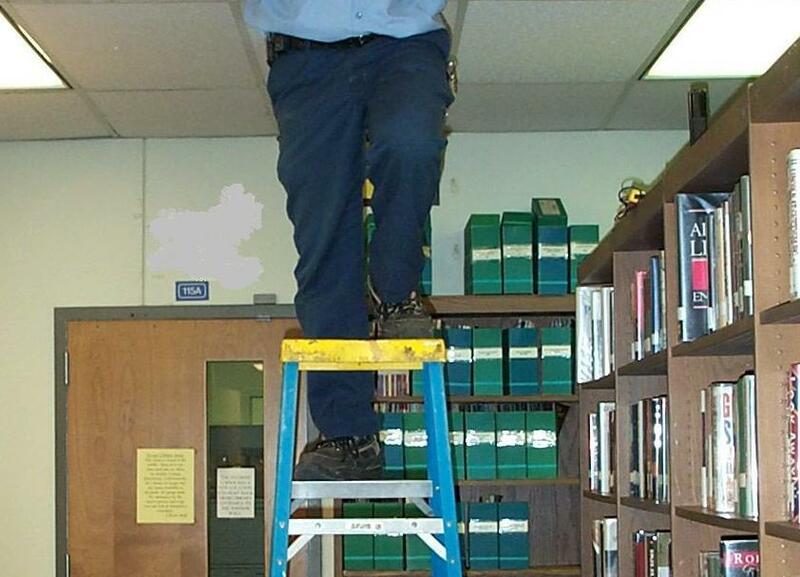 Can you guess who the fellow from Facilities Management and Planning is with his head in the ceiling of the Parham Campus Library? A free bookmark to anybody who guesses. Post your comments below, or if that doesn’t work out for you, email me at ldbishop@reynolds.edu.